Thank you for visiting my website, I hope that you find it contains all the information that you need on my services. Please feel free to contact me by phone 07932829482 or on my Contact page for prices and availability. 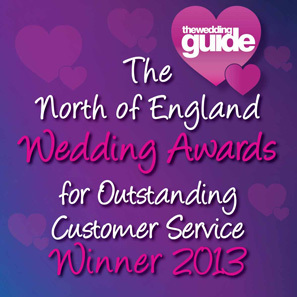 I have been a Wedding make-up Artist , Bridal hairdresser and beauty Professional for over twenty years. I am level 3 City and Guilds Qualified and have achieved numerous other qualifications in hairdressing, Make-up artistry and beauty. I strive to keep my skills up-to-date and fresh. Please visit my In My Kit page for further details and information on the products I use and services I offer. I have a huge passion for make-up Hair and beauty. I have worked and trained with some of the best in the world such as Patrick Cameron long hair specialist, Christian Dior, Wella Academy, War Paint London school of photographic make-up, Airbase airbrush make-up, Nouveau Lash extensions, Dermalogica skin care, CND Shellac nails and NoUVAtan organic spray tan. I am also a member of the Mac Pro professional make-up artist program, Bobbi Brown pro artist program and the Freelance Hairdressers Association. I am based in Holmfirth, West yorkshire. I am an award winning international artist, and have had my work published in many magazines and newspaper. I am always happy to travel across the Uk and around the world to deliver my unique hair and make-up service. If you are having a destination wedding or event, or even one a little closer to home, please feel free to contact me here to discuss my availability and rates. Custom made to your specifications. 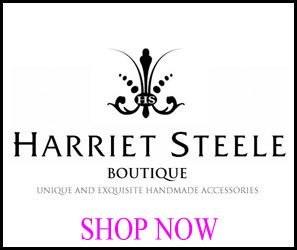 If you can not find the perfect piece from my large selection of stunning Hair Accessories and Jewellery at Harriet Steele Boutique. 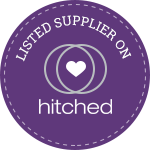 Please contact me HERE for further information on creating together a bespoke item exclusively for you.